Revisited the Coquitlam Milestones about a month ago, just because we wanted a good supper. This restaurant’s given me some not-so-good experience with its parking lot, but I wouldn’t stop that for having good food. 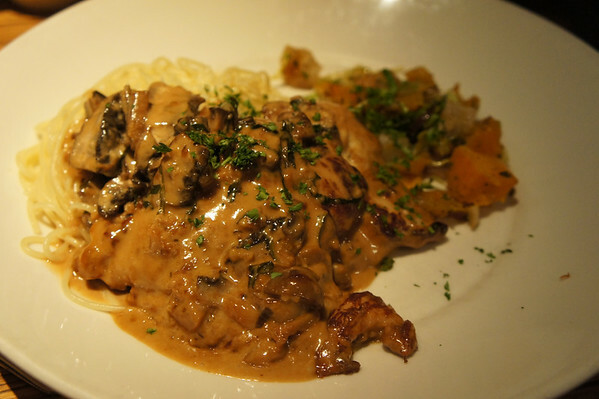 Out of the larger restaurant chains, I’m comfortable in stating that Milestones and Earls are my “GO TO” restaurants because of their food offerings. The Caesar salad here is my favourite. 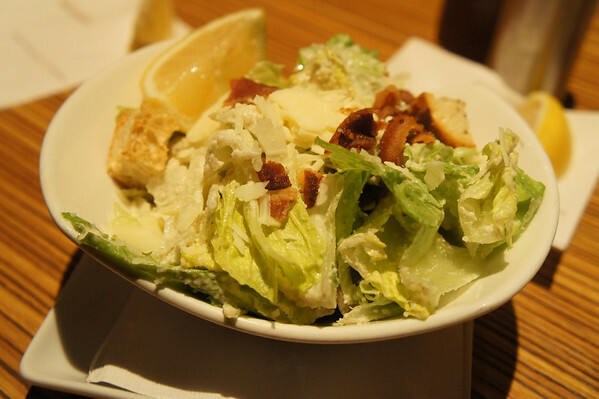 It’s got just the right amount of cheese, bacon, croutons, dressing and romaine lettuce. This is half the portion, as our server helped us split up the portions into two for girlfriend and I. And what I like about the salad is the Reggiano and Asiago cheese, they are all shaven. As if the Asiago in the salad wasn’t enough, I had the grilled chicken penne with hand shaved chicken breast, roasted Italian tomatoes, fresh basil, spinach, and Asiago cream. Of course, served with a toast on the side. 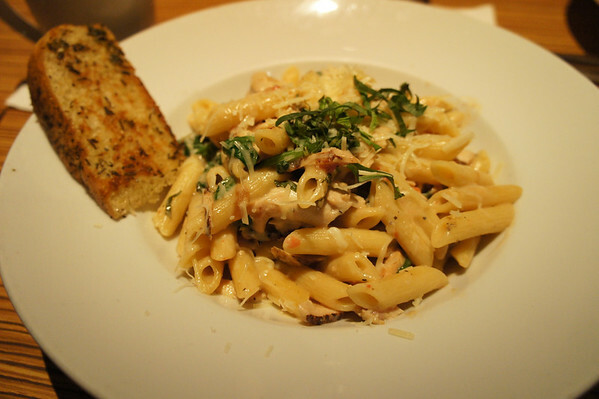 The penne was good, creamy and not oily, very flavourful. There were also plenty of shaved chicken breast. A fantastic dish! If you’ve seen my reviews from years ago, they still have this on their menu! It’s a regular favourite for us. 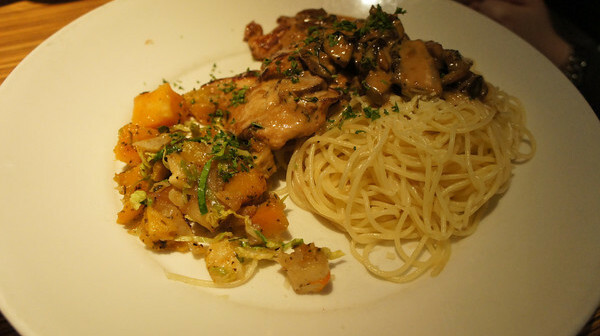 Sliced portobello mushroom with shaved chicken served with basil, roasted garlic, reduced Reggiano cream, capellini and seasonable vegetables. Needless to say more, this dish will be around for quite a long time. 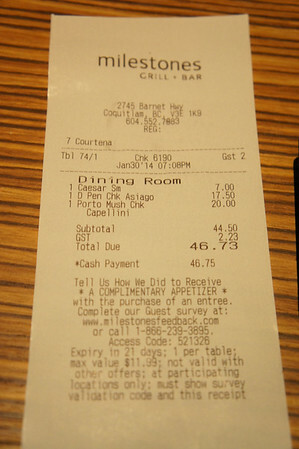 Overall, I’m pleased with the food here. We came on a week night, but it wasn’t quiet at all. There were both large and small parties. Service could be slow when they are busy and you’d have to wave your server over. But generally, this isn’t a place for fast food. Happy to be back!